Celebrating the Divine Feminine – Sugar Girl Squad on the decks all night #SaturdayMAY11th!! The beats start at 11pm deep into the Afterhours and on into the morning.. 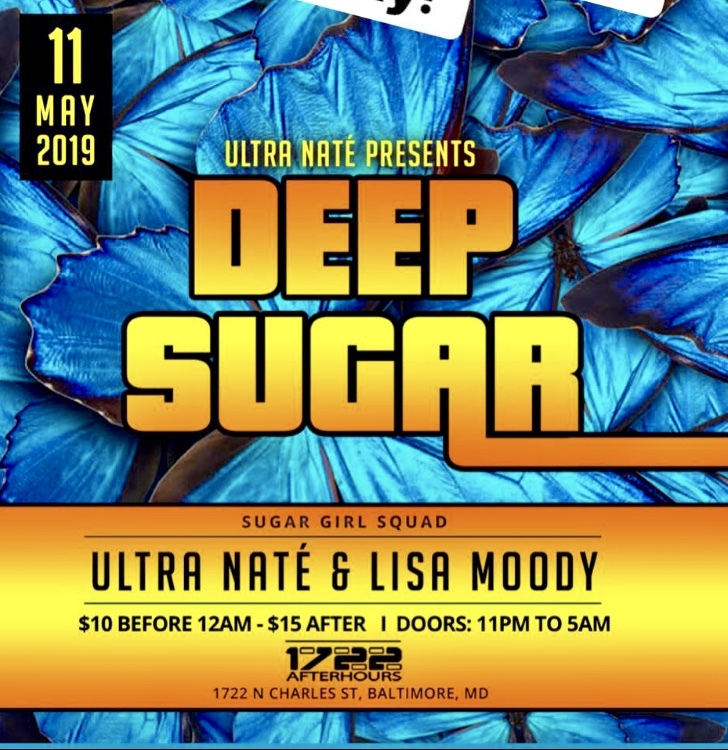 The night is young and Deep Sugar is just hitting peak hour as the rest of Baltimore City is shutting down! #JELLOSHOOTERS ON US WHILE THEY LAST!